To manage your current subscription please visit MY PROFILE. There you will be able to change your address, make a payment, renew your subscription and more. Having a copy of your mailing label when you do this will help the process go faster. If you need to order back issues, or report a delivery problem or anything else feel free to contact us at 1-800-588-1030 (outside the US: 1-760-317-2332), or via email: ljsubs@pcspublink.com. The term “digital product” refers to paid digital products available from Library Journals, LLC, including digital subscriptions. You are not required to purchase anything in order to access lj.libraryjournal.com or slj.com. If you do not purchase a subscription or product, your online access to content and services will be limited. Library Journals, LLC reserves the right to modify the content, type and availability of any digital product at any time. For Individual subscribers, only one person may use the account (user name and password) associated with a purchased product, unless we agree otherwise. For Institutional subscribers, the Account enables an unlimited number of users can access premium content (managed by an Institutional Administrator at an authenticated IP address) and services associated with the purchased product. 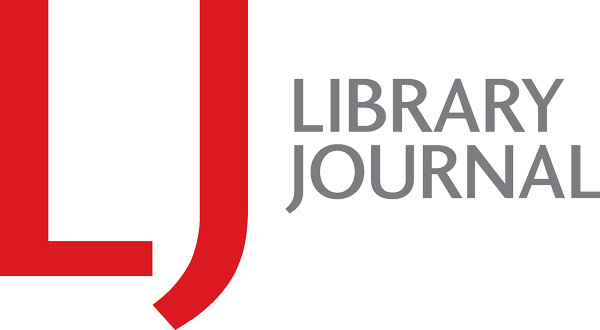 Library Journals, LLC will process your digital subscription or purchase as promptly as possible. We accept major credit cards. We reserve the right to reject any order or purchase at any time. We will charge or debit your payment method at the beginning of your subscription or, if applicable, at the end of your trial period, and will continue according to the cycle stated at the time of your order. For information about your billing cycle, please visit MY PROFILE. All Library Journals, LLC print and digital subscriptions will be automatically renewed unless otherwise stated. When we renew your subscription, we will use the payment method currently associated with your account. You can change your payment method at any time by visit MY PROFILE. You will be notified in advance of impending renewals. When you purchase a standalone product (not a subscription), including but not limited to Event registrations or standalone reports, research, or articles, we will charge or debit your payment method at the moment of purchase. Unless specified otherwise in the Cancellation and Refund Policy, all charges are nonrefundable. If your credit card expires or your payment method is otherwise invalid, your subscription or product will be terminated. To change your payment method, please use MY PROFILE. When you purchase a digital product, the price will be made clear during the order process. You agree to pay the price that is stated at the time of your order, as well as any applicable taxes. Discount eligibility for new subscribers is determined at the time of the order. Discounts cannot be applied retroactively. Introductory discounts are not available to current subscribers All prices are in United States Dollars. Library Journals, LLC reserves the right to change prices and fees at any time. We will notify you in advance if the regular rate of a product changes from what was stated at the time of your order. You will have the opportunity to accept the new price or cancel your subscription or purchase from that point forward. Applicable taxes may vary. We are not able to notify you in advance of changes in applicable taxes. If your subscription does not include access to other products that may be introduced from time to time, you may have to pay additional fees to fully access those products. These additional charges will be clearly stated. If you believe someone else has used your account or you are being charged for a product you do not have, please contact Customer Service. We may occasionally offer promotions. The specific terms of each promotion are stated at the time the promotion is offered. Each promotion may be different. Promotions cannot be combined. You may be required to provide your payment details when you sign up for a promotion. At the end of the promotion, you will automatically be signed up for the related subscription or purchase that will begin at the end of the promotional period. We will not notify you in advance that the promotion is about to end. To cancel and avoid being charged, you must notify us before the promotion ends. You can cancel your digital product at any time by contacting Customer Service. Cancellations cannot be made via My Profile. We reserve the right to suspend or terminate your subscription or product for any reason, with or without notice and without further obligation. You will not be entitled to a refund in these circumstances. If any or all of our digital products are temporarily unavailable, you will not receive a refund. If any or all of our digital products are temporarily unavailable, you will not receive a refund.